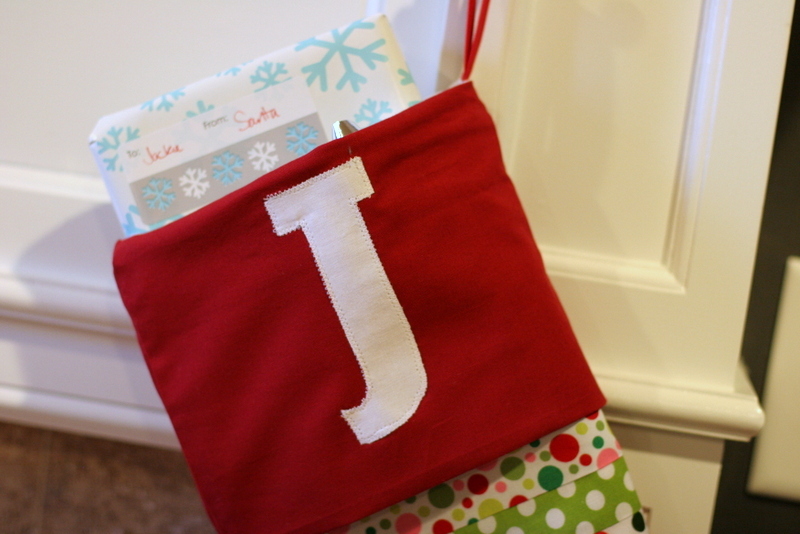 So I finally finished our new monogrammed family Christmas stockings. 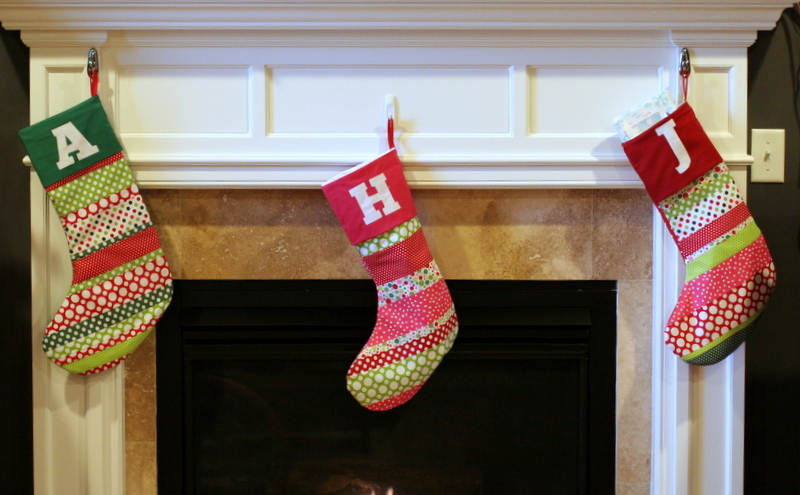 I started thinking about these a while back, knowing that H would need one and wanting to take the opportunity to improve on our old ones with a new coordinated family set. The old ones have been great, but I’m a better sewer 4 years later. And, I can applique things. 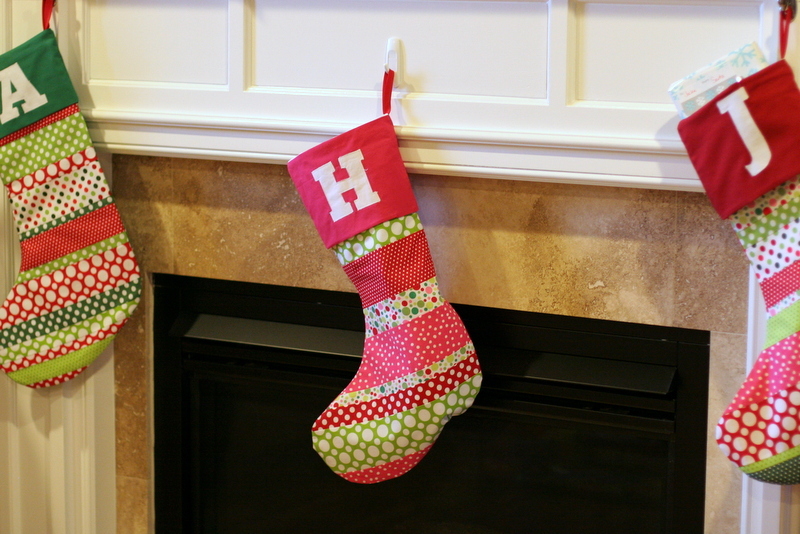 We have a random assortment of stockings I’ve never gotten rid of, so I took one of the bigger ones and used it as a template for these. 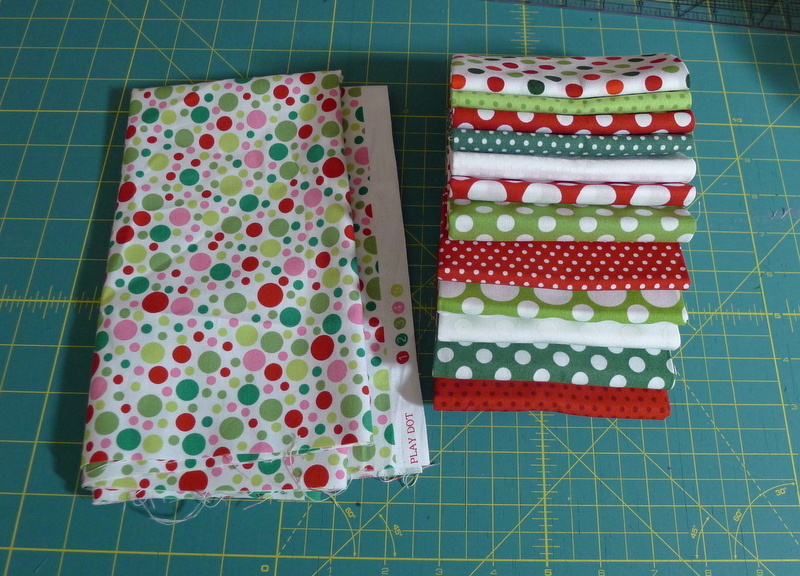 I made them extra long and wide, and Fat Quarter Shop had this special Robert Kaufman Spot On bundle called Deck the Halls that I bought (and then combined with dots from my stash). I cut all my dotty fabrics into various strip widths and pieced together big sections to cut out my stocking shape. 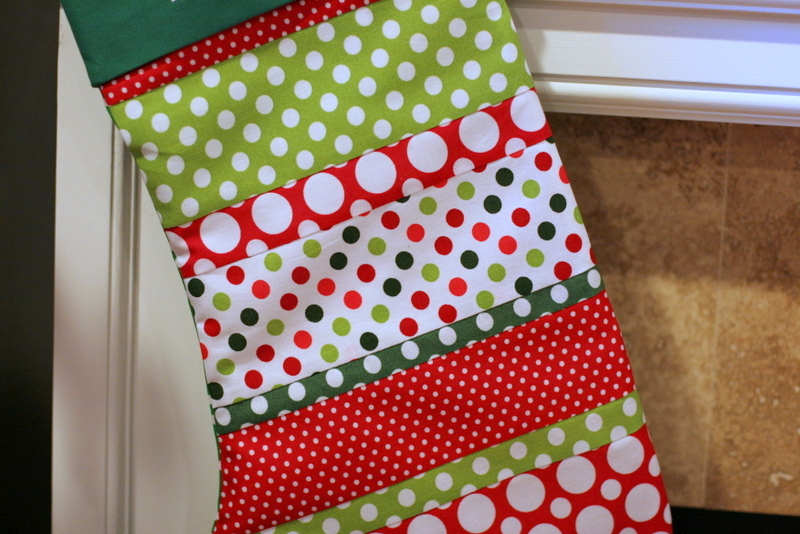 Then I used this tutorial for the stocking construction and this tutorial for the cuff sizing (I made 6″ cuffs on mine). I love these. Just in time for Santa’s arrival.